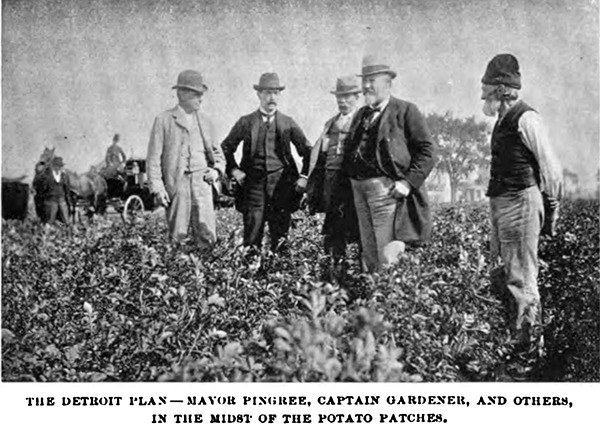 Mayor Pingree (fourth from left) poses for a picture with one of the gardeners (right) in 1896. 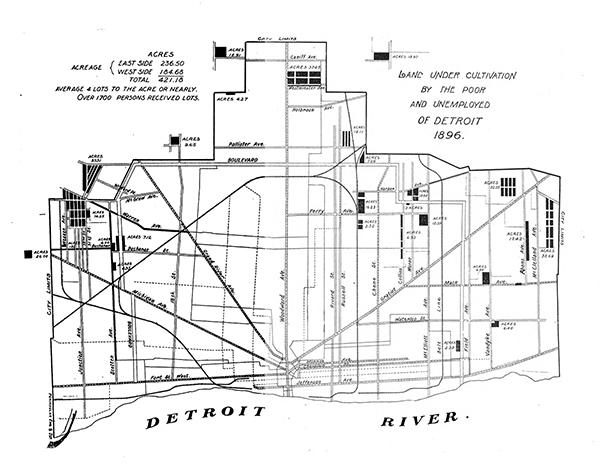 Map depicting the locations of Vacant Lot Gardens in Detroit, 1896. Known as “Pingree’s Potato Patches,” the program provided unemployed workers with plots of land on vacant city lots, seeds, and tools, and instructions (printed in three languages) on how to cultivate gardens. While Pingree’s plan could not fulfill all the demand, it was successful in alleviating some of the hunger and poverty in Detroit. The Detroit Plan was so successful that other cities from Boston to San Francisco developed similar plans. 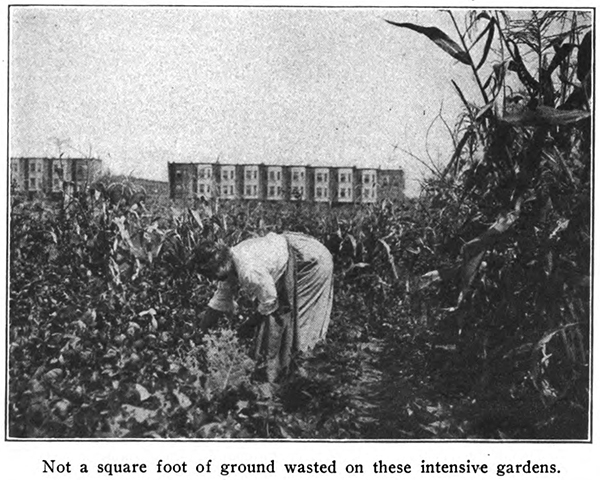 Participation in Detroit’s vacant lot gardening program, like most, tapered off by 1900 once the economy began to improve. Philadelphia, however, developed a particularly robust program that lasted into the 1920s. A woman picks vegetables in a vacant lot garden in Philadelphia, c. 1917. Annual Report, Philadelhpia Vacant Lots Cultivation Association, 1917. 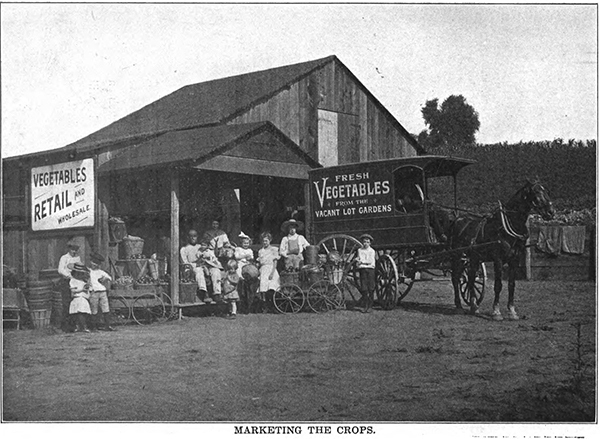 Gardeners prepare to sell their produce in Philadelphia, c. 1904. Annual Report, Philadelphia Vacant Lots Cultivation Association, 1904.